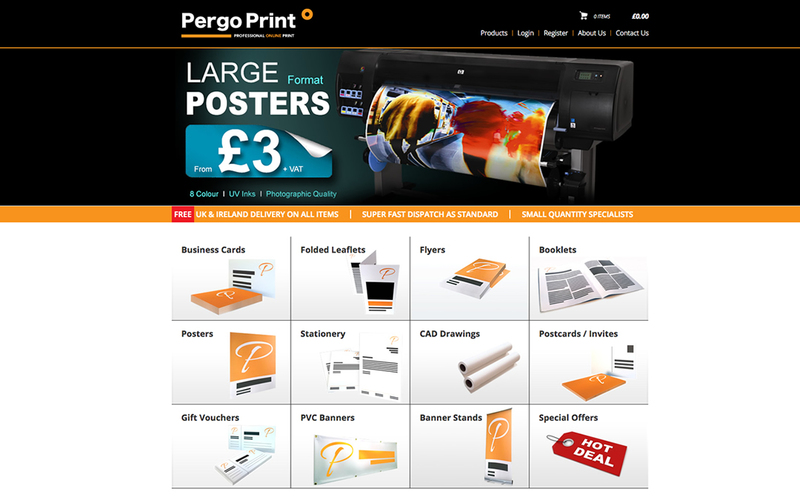 Pergo Print are commercial printers based in Bangor, Northern Ireland. 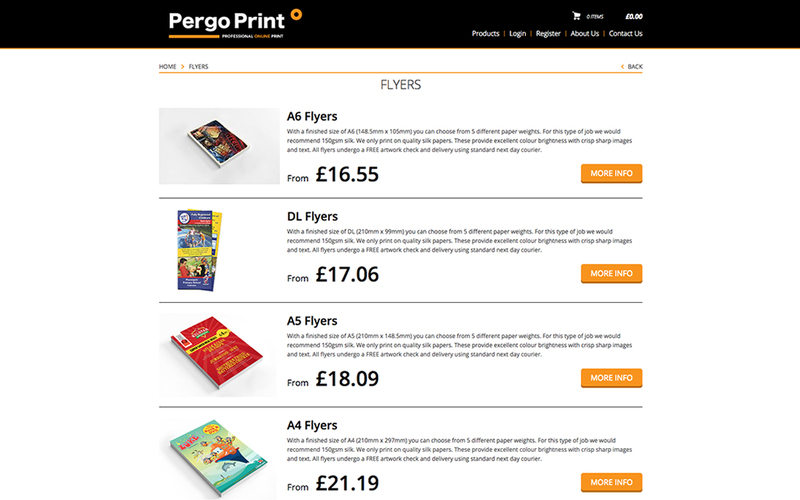 Their state-of-the-art equipment allows them to print almost anything, from business cards, brochures, leaflets and booklets, to large format posters, CAD drawings and roll-up banners. 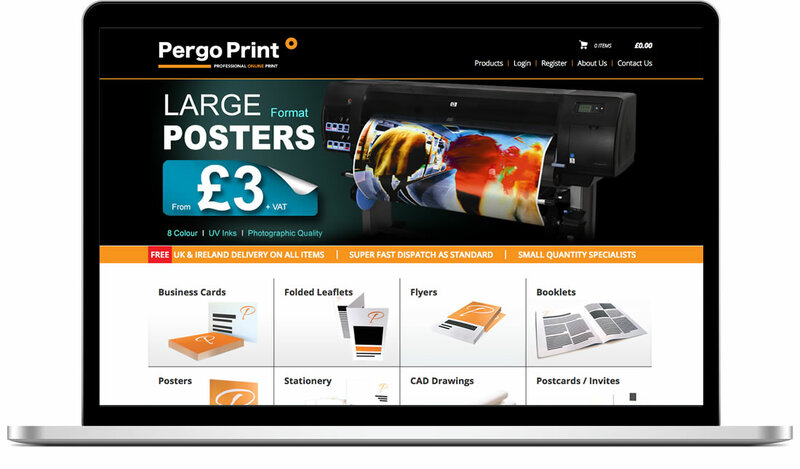 For their new e-commerce website this client wanted to project a professional, modern image, which would reflect the attention to detail and technical proficiency of their business. 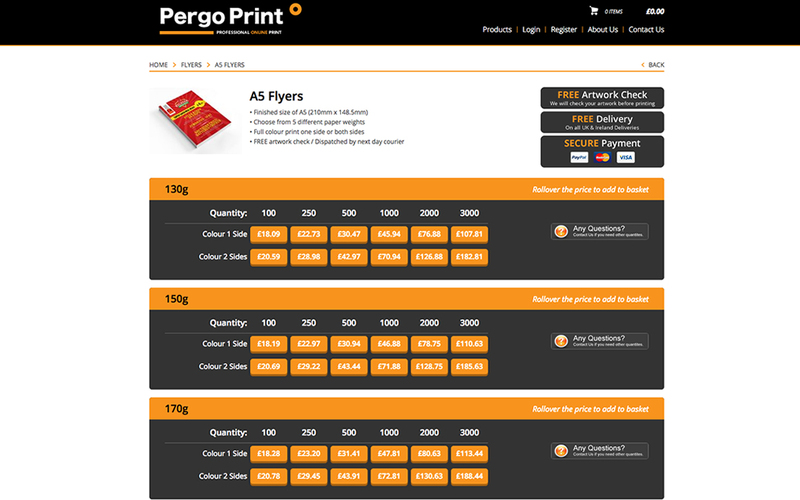 The website provides a seamless process whereby customers can select and customise the products they want printed, upload artwork and then pay online.